Learn About the Many Ways That Botox In Dentistry Can Help You! Nearly everyone knows that Botox is a wonderful way to restore a youthful appearance by softening both smile lines and frown lines. But did you know that Botox has therapeutic benefits as well? That’s right – while Botox in dentistry can certainly be used to restore your smile’s youthful appearance, it can also bring you relief from any pain around your TMJ (temporomandibular joint) as well. If you’re one of the many Americans suffering from TMJ issues, you know that it has a huge impact on your quality of life because it prevents you from eating, smiling and laughing comfortably. But with Botox, it’s easier than ever to reduce these symptoms and restore the function of your jaws. Keep reading below to find out more about the cosmetic and therapeutic benefits of this procedure! Want to Enhance Your Smile? Meet Your Cosmetic Dentist in Greensboro! When you brush your teeth, are you worried that you’ll never be able to hide the stubborn intrinsic stains you’ve gathered over the years? Did you suffer a minor dental injury after an accident that permanently changed the appearance of your smile? Do you wish your teeth didn’t have so many gaps, but don’t want to seek orthodontic treatment? 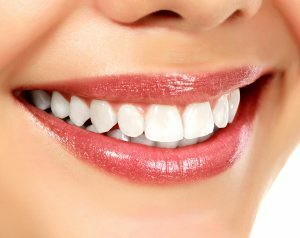 If these thoughts have ever crossed your mind, you’ll want to read this post from your cosmetic dentist in Greensboro. They can use porcelain veneers to solve many cosmetic issues in your smile! When it comes to teeth, most people feel that brighter is better. Everyone wants to have a smile that dazzles; yellow or dull-looking teeth aren’t an option for folks who truly want to look their best and turn heads wherever they go. But how can you obtain that Hollywood-level glow? We recommend that you skip the OTC products and opt for professional teeth whitening in Greensboro instead. According to the U.S. Department of Labor, dental assisting is one of the fastest-growing medical careers, with demand expected to grow steadily over the next several years. Because of this, a long-established dental office is now offering a new training opportunity for people looking to benefit from this dental assisting industry boom. Drs. David and Patti Bradley, owners of Lake Oconee Dentistry, are opening a training school for anyone interested in becoming a dental assistant. Assist to Succeed Lake Oconee is currently enrolling students for a new 12-week session, which begins April 7th. 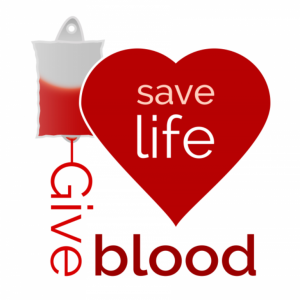 The Saturday classes will be held from 8 a.m. to 5 p.m. at the Lake Oconee Dentistry office, located off Highway 44 in Greensboro, between the Publix parking lot and the movie theater. The dental assisting school is certified through the state of Georgia Non-Public Post Secondary Education Commission. Assist to Succeed Lake Oconee will be holding an informational open house on Wednesday, March 21st at 6 p.m., at the Lake Oconee Dentistry office. Those interested in attending the open house should call 706-347-2635 to reserve your spot, as space is limited. Those who attend the open house are eligible for $500 off tuition. Tuition includes books and supplies. Fillings are one of the cornerstones of modern dentistry. They fill in cavities in the teeth, protecting those pearly whites from further decay. But some people hesitate to go to the dentist when they’re experiencing the symptoms of a cavity. They might brush off their discomfort, hoping that it goes away when in reality, they’re risking that their minor oral health problem will develop into a major one. Your dentist in Greensboro strongly recommends that you don’t delay getting your cavities filled in. Here’s why. If you’re trying to fix alignment issues or crowding in your teeth, you may be familiar with the innovative orthodontic treatment known as Invisalign. 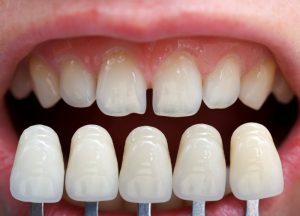 This series of custom-made clear aligners can offer results without all the downsides associated with traditional metal braces. Since this treatment is so different, it’s typical for patients to have many questions before undergoing Invisalign. That’s why your dentist in Greensboro is ready to keep you informed as you peruse your options. Patients usually ask how long Invisalign treatment takes or what they need to do after treatment ends. 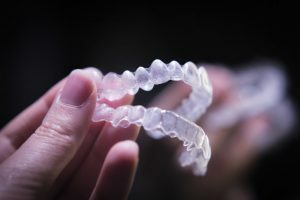 To learn how Invisalign differs from traditional braces and what you’ll need to do to ensure effective results, keep reading. It’s just about time to welcome a new year, and as your dentist in Greensboro, we’ve got a resolution of our own. We want to make sure our patients to love their smiles in 2018 — and that begins with you. Whether it’s the way your smile looks or functions, if you are not 100% satisfied with your teeth, this is the year to do something about it. Keep reading to find out more about our suggestions for better oral health in 2018, and how we can help you achieve the smile you love at long last! We Believe in Offering Periodontal Therapy for Patients! When you brush your teeth do you see traces of blood after rinsing your mouth? That coppery taste that’s left behind from hints of blood in your saliva could be a sign that you’re developing gum disease, a real concern for your oral and overall health. 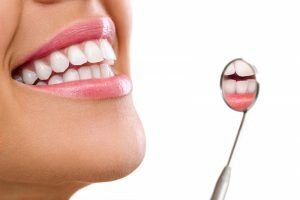 Your dentist is here to help you recover optimal oral health with these different types of periodontal therapy.